Lumbar Decompression, Back Pain Relief, Posture Support Belt Disk Dr WG30 G2, the only belt can be called Treatment Belt. Disk Dr WG30 G2 back treatment, back pain relief and back posture support belt recommended for lower back pain relief, herniated disc, sciatica, spinal decompression. 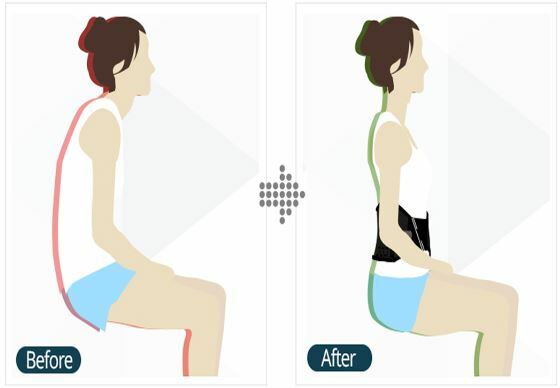 Back support belt Disk Dr simple to use, allows self-treatment, active rehabilitation, recommended to wear 6 hours a day, also it can be worn for 12 hours per session, depending on patient's medical conditions. The new Disk Dr WG30 G2 Decompression belt offers consumers an affordable back belt to decompress the lumbar spine with the same patented superior technology throughout the Disk Dr products. 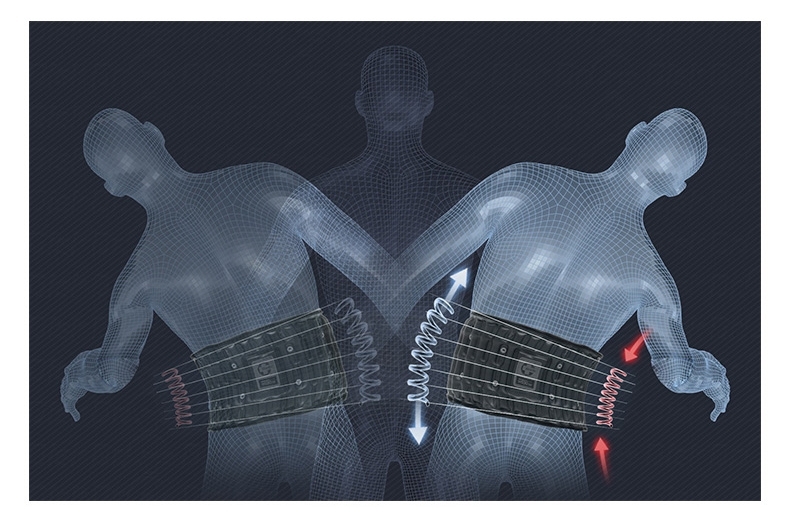 Spinal decompression stretches the torso vertically and displaces stress away from the affected disc and nerve. 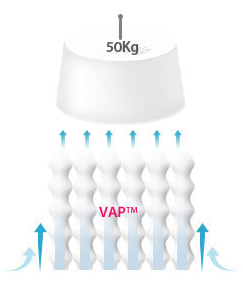 Pressure and pain levels, within the lower back, is significantly reduced which will assist in active-rehabilitation. In addition, a newly designed extended front Velcro closure offers a higher size range accommodating individuals to fluctuate in size and allowing them to share with friends and family. The Disk Dr WG30 G2 Decompression Belt’s unique and patented spinal air traction design is thin, lightweight and easy to use, it offers a high degree of mobility, alleviating and preventing back pain. It can be discreetly worn under clothing allowing you to perform daily activities such as driving, walking and standing for long periods of time, and enabling those with an active lifestyle to work, enjoy sports and other leisure activities pain-free. 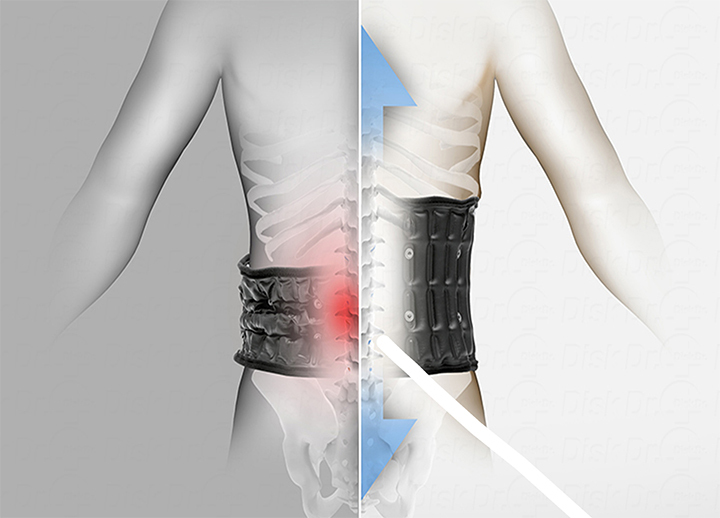 Disc Dr belt will speed up your recovery and help you enjoy the daily activities that were once too difficult. 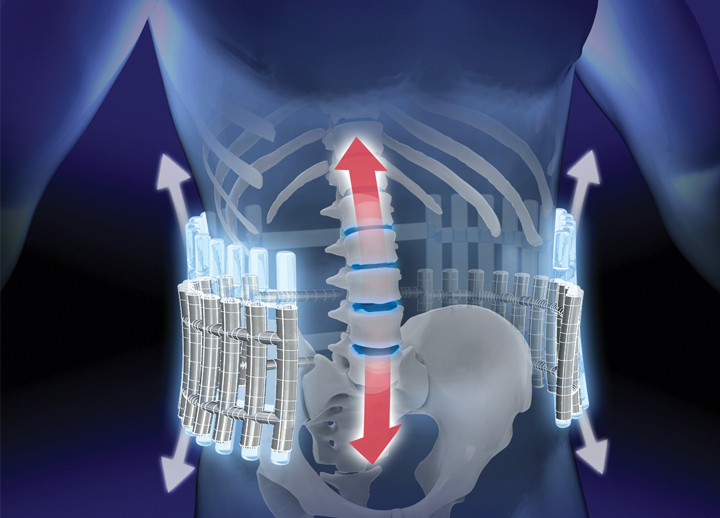 Unique and patented air-traction design sets it apart from all other available back supports which are intended solely to restrict movement of the lumbar spine. 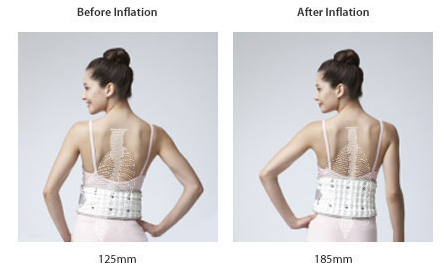 The Disk Dr not only provides superbly comfortable support but has the added benefit of applying gentle traction to the lumbar vertebrae, thereby reducing intra-discal pressure and providing speedy and effective relief of pain. 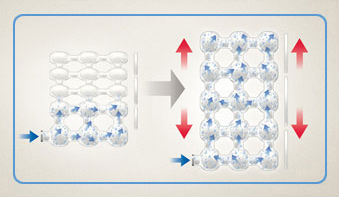 The Disk Dr combines both excellent support and flexibility. For those who participate in sports of have an active lifestyle, the Disk Dr allows a high degree of mobility while at the same time providing security for the weakened lumbar spine. Disk Dr products available in USA on Medicare and other major insurance. 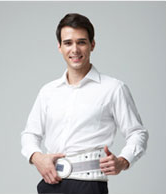 I've found a lot of pain relief when wearing the Disk Dr belt, sometimes more than other times. If I'm not wearing it I'm usually in a lot of pain. seen my G.P. lots of times, done loads of exercise, with little help or improvements in pain or mobility, but the Disk Dr WG30 has really helped with the pain unlike anything else. I have tried other belts before, but I was so desperate to get some pain relief that I took the chance, and am so glad I did. It has really helped me with the pain, being in bad pain is so depressing and Disk Dr. has helped me. Thanks it is a really great product, and am so glad I got it.